To qualify for an FHA-backed mortgage, you’ll need a credit score of at least 580, though minimum score requirements will vary by lender. Now contract for deed homes you can purchase with almost any credit. Some sellers may be sticklers on this but not many. Usually you can find a home with a Bankruptcy-Foreclosure-Child support on your credit. We have done alot of them and will continue to do alot more. The terms on most contract for deeds in Minnesota and Western Wisconsin are. 10% down of the sale price of the house. 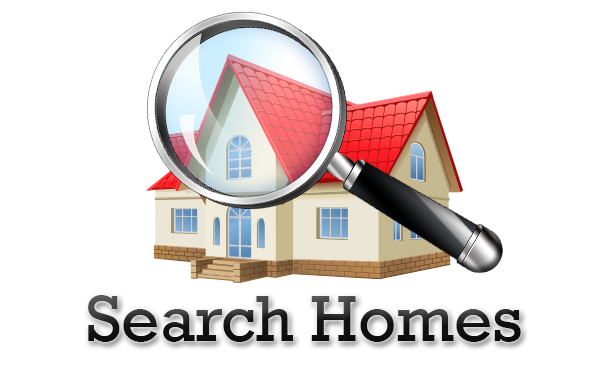 Below you will find cities located in Minnesota that may have contract for deed homes for sale. 11-county metropolitan area: Anoka, Carver, Chisago, Dakota, Hennepin, Isanti, Ramsey, Scott, Sherburne, Washington, and Wright. These counties include the cities of Minneapolis and St. Paul (the Twin Cities) and contain about 60 percent of Minnesota’s population therefore a lot more contract for deed properties available in these locations. Contact us today we also have financing options thru a lender that you may qualify for as low as a $1000 down to purchase a home. Once the contract for deed is executed, the buyer should record the contract immediately with the county recorder’s office or the registrar of titles it is the law in Minnesota. If you close with a title company or law office you will have that taken care for you. I highly recommend using a title company to close a contract for deed sale. 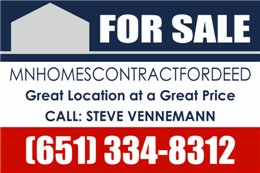 For drafting the purchase agreement and looking at homes call us.